Bondtex, Inc. was incorporated in December 1986 and began manufacturing under the name of Himarx, Inc. on February 1, 1987 in Spartanburg, SC between equal partners Mark Salley and Jerry Hightower. The company was started as a flame-laminating company with one machine purchased from IBENA, Inc., a West German company, and five employees, including the two partners. The one machine was eventually moved to their first location in West Spartanburg. The company was started to provide laminated products which included polyurethane foams bonded to various substances for the automobile, after-auto, marine, medical, military, apparel and other industrial markets. Due to the growth and need for capacity expansion, Jerry Hightower purchased Mark Salley’s shares in 1991 and changed the name of the company to Bondtex, Inc.
Bondtex purchased Bryant Lamination in Mooresville, NC in 1993. 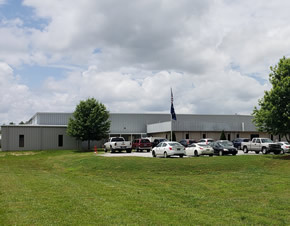 In 1998, due to continued growth, Bondtex invested in a new facility on ten acres of land at the current location in Duncan, SC. The initial facility constructed was 61,500 square feet. Additional equipment was added to this facility and all of the equipment in the original facility was moved to this new location. In 1999 Bondtex purchased WPH, Inc. – a perforating company in Statesville, NC. WPH punches holes to compliment the company’s medical, automotive, marine and industrial markets as a value-added service. This division is still in a leased facility in Statesville, NC. In 2007 Jerry decided to consolidate the Bryant Lamination business in Mooresville, NC to the facility in Duncan, SC and added another 43,750 square feet. He moved one flame-laminating machine from Mooresville to Duncan. Also in 2007, Bondtex purchased a flat-bed, belt laminator from Schmid Corporation to expand the laminating capacities in adhesive web and powders. In 2013, another 24,000 square feet was added to the facility bringing the total square footage to 129,250. In June 2015, Jerry sold Bondtex to Suminoe Textile America Corp., a subsidiary of Suminoe Textile Co.,Ltd. Bondtex continues to grow and continues to look for improvements to the facilities, equipment, and systems to continue to provide the very best in customer service.